The UC Berkeley School of Law may increase its tuition by $1,432 for the 2015-16 academic year to account for rising costs. 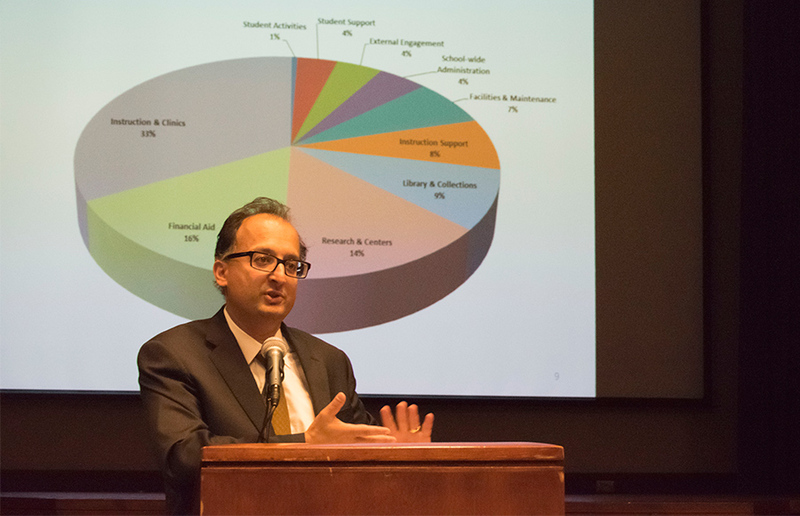 Berkeley Law Dean Sujit Choudhry discussed the potential tuition increase at a public town hall meeting Monday at the school. He presented what he called a “modest increase” and outlined reasons for his proposal. “The issue that every school faces that wants to provide the highest quality education possible is to provide a revenue base that makes that education possible,” Choudhry said during the presentation. The increase would be a Professional Degree Supplemental Tuition — an additional fee for students in graduate programs — that is considered by the UC Board of Regents. The current supplemental tuition for Berkeley Law is $35,164. The proposal calls for a 4.1-percent increase, which would bring the total supplemental tuition cost to $36,596. Choudhry cited “ballooning” costs of faculty health care as a primary reason for the increase, as well as the school’s ongoing compensation for an underfunded pension plan. Choudhry also said the staff size has increased recently in order to provide more student services. He said he is working to “soften the blow” of the potential increase, saying financial aid is the primary financial focus of his deanship. “I want to signal the importance of access to our community to make sure the best and the brightest can come here,” Choudhry said. In addition to the proposed supplemental tuition increase, Berkeley Law anticipates systemwide as well as campus tuition increases. Berkeley Law projects that these increases will total a 5.4-percent increase for California residents, raising the total cost of attendance from $51,320 to $54,091. Nonresidents’ total fees would increase by 5.3 percent, from $55,271 to $58,240, according to Michael Bazeley, director of communications for Berkeley Law. Second-year law student Henry Smith said that he was concerned about the school’s reliance on current and past students as sources of revenue and that the school’s status as a public university is being compromised in light of tuition hikes and decreased state funding. 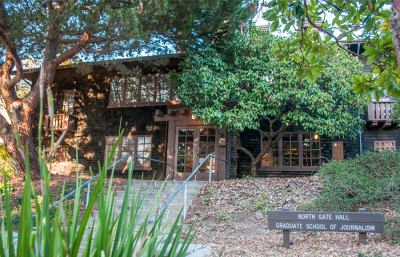 Second-year student Simon Mont echoed Smith’s concerns, saying the proposal conflicts with the historic values of Berkeley Law. Choudhry said he is not concerned with the state of Berkeley Law, as its financial model includes a diverse range of revenue sources. Students were encouraged to submit comments — which will later be forwarded to the regents — to Berkeley Law’s website. Michelle Pitcher covers student governmentContact her at [email protected] and follow her on Twitter @michellepitcher. Due to misinformation from a source, a previous version of this article stated that the projected total cost of attendance for non-residents after the tuition increase would be $58,225. In fact, it would be $58,240.